I'm incredibly far behind on my reviews I'm catching up today so sorry for clogging up everyone's feed. 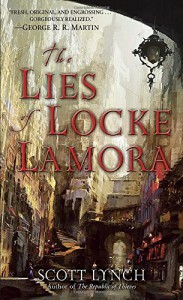 Lies of Locke Lamora was a co worker recommend. So thank you co worker even though you'll probably never read this. I bought this book awhile ago and it took me ages to get started. I'm glad I did. This book has lots going on for it. It has action, adventure, humor, charming rouges, and absolutely no romance as a change of pace. I've heard this book compared to Oceans 11. I can't confirm or deny that having never seen the movie. It is a caper book though. The setting i thought was modeled after Venice. The characters are a set of gentlemen thieves that are very like able. I enjoyed it and am currently reading the sequel. 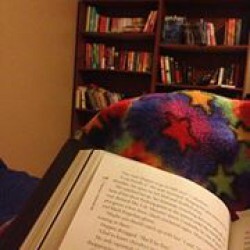 I'd classify this book as fantasy light on the magical themes.